OurEnergyPolicy.org | Clean, Reliable, Affordable….can energy policy deal with its own increasing demands? Clean, Reliable, Affordable….can energy policy deal with its own increasing demands? With the exception of EPA rulemaking and stimulus, federal energy policy has been at a virtual standstill since EISA 2007. That makes state legislatures and regulators the focal point for new ideas. California, with its aggressive efficiency and renewable targets, has continued to be a key market for addressing the financial and operational costs of configuring a new energy system. In a previous life, I remember an industry colleague’s advice on drafting energy legislation; “create principles regulators can tweak rather than inflexible legislative fiat”. This expression comes to mind as a litmus test for California’s new landmark energy legislation; Assembly Bill 327. 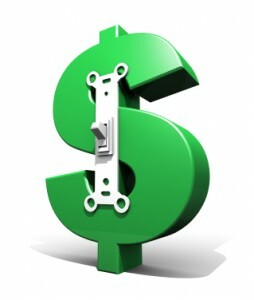 Enables the regulator to assign a fixed charge to cover the cost of maintaining a reliable system and ensures all users pay for the value of the grid, but it sets specific dollar limits. This provision removes the “cap” on how large solar PV systems can be and how much energy they can generate on the system. In other words, it removes a market cap, very simple but profound consequence. This provision seeks to achieve the holy grail of smart metering, which is to enable regular people to see the true cost of energy and empower them to make choices based on those prices. AB 327 is important nationally because it seeks to address the challenges of integrating distributed generation into the utility business model. It also has the support of a broad base of stakeholders, which has implications for its political viability as a model. Does California’s new net metering law represent a step forward or does it create new problems? Do these provisions create flexible principles or inject rigidity into state energy policy frameworks? 6 Responses to Clean, Reliable, Affordable….can energy policy deal with its own increasing demands? California is maintaining its lead as an energy innovator. By creating “true costs” per unit of energy delivered, it allows customers to make choices. This transparency of pricing is critical for making policy and consumer decisions. Nearly a third of the California grid handles air-conditioning load so solar photovoltaics (PV) naturally follows the electric load, so removing the PV system cap removes an arbitrary barrier. And by allowing the regulators to assign distribution costs to those customers who also utilize the grid assures equity for the electric utilities. California also approved in another recent action a 1.3 GW requirement for energy storage so as to improve electric power quality, enhance frequency regulation, and in anticipation of a large applications of variable wind and solar. The grid and energy technologies can not stagnate, we are evolving to a smarter electric grid with more storage, high-value energy efficiency, and distributed generation closer to the endusers. The technology options are scaling-up and dropping in costs and allowing consumers far more choice and control of energy reliability, electric power quality, and costs. There is no way to ‘turn back the clock’. Scott, I completely agree…there is no way to turn back the clock, nor should there be. We are entering into a newly developing energy paradigm in which many potential stakeholders will play important roles, including consumers. business, and building owners. The energy storage mandate can be fulfilled in a number of ways and it should be a combination of grid scale, community scale, and behind the meter systems. This will create a highly resilient energy mix and private sector will likely drive the primary transition to renewable energy as prices decline and choices and availability increase. There is no reason whatsoever that any utility at any scale should limit themselves or be limited to any particular demographic of this mix unless they choose to for business goals… the survivors and winners in this transition will recognize this and should get involved very soon, on many varying levels. All eyes are on California as far as energy policy and this bill touches on three truly hot button issues. The move to make Time of Use rates is a big step towards achieving a more responsive customer. Pricing energy more in line with costs will be a driver to emobility, storage, and distributed generation as peak avoidance and arbitrage will help accelerate the ROI in investing in these technologies. The solar industry scored big as the legislation clarified existing net metering rules and ensured that they would not be suspended while opening the possibility of lifting the cap completely. This could have profound implications on solar. The truly interesting piece is the fact that it balances this by authorizing the CPUC to allow utilities to create fixed access charges– helping to address the concerns of the utilities regarding covering their fixed network costs as roof top solar becomes more prominent. While I agree with the concept of creating a fixed access charge in addition to the volumetric energy charge, my concern in this area is in the appropriateness of mandating the dollar amount of the fixed charge. How these amounts were determined and does “one size fit all,” are two questions that immediately come to mind. My two cents: I think this bill’s success is in its compromise: Time of Use rates could help fuel both private sector and utility energy innovation while the issues raised by the solar industry — net metering and potential for removing capacity were balanced with the concerns of the utilities in enabling a fixed network access charge. I can’t evaluate all the implications of the California bill. But in the 1970s, I lived for a few years in an “experimental” solar house in Denver that was equipped with a Time Of Use electric meter. From that experience I would say that this arrangement, from the consumer’s viewpoint, has significant lifestyle impacts — not necessarily drastic but still in some ways intrusive. My housemate and I, for instance, had to be sure to do laundry or run the dishwasher at night, when rates were lower. The electric meter was placed next to the front door, so we got daily feedback on our energy use — which really has an impact. That was then. With today’s increasingly ‘smart’ home technology, sensors and intelligent controls like the Nest thermostat can sense and respond to residents’ behavior, making automated adjustments and providing richer feedback via smartphones, TV sets and such than our clunky electric meter back in the 70s. It occurs to me, though, that the diversity of smart technology options and the pace of innovation make it even more complicated to research human-system interactions and come up with optimal solutions. By their nature, centralized utilities and government bureaucracies tend toward uniformity and mass conformity, while IT innovation continually pushes toward mass customization. The same wave of IT innovation also poses ever more vexing cyber-security hazards. Reading all these posts with great interest; thanks all for your time and perspective. The purpose of the post was to spark precisely the kind of keen observations made here so thank you! Let’s start with the concept of technology evolution and policy lag. I could not agree more with Mr. Skylar’s comment that we cannot “turn back the clock” on the development of multiple disruptive technologies at the distribution edge. Ultimately, the ability for energy to be produced at the network edge and with increased customer choice in the market will and are currently bringing environmental, operational and consumer benefits to market. It’s almost always the case that cost curves, innovation and consumer choice outpace policy making. Policies should not hinder or put up new barriers to innovation from either end of the industry value chain. What is the new revenue and market model with flat sales but fixed cost for delivering a reliable distribution system? Should the utilities be simply poles and wires companies which are funded by all grid “users” and the rest of the market be deregulated? What is the sum assigned “value of the grid”, including existing, non-appreciated assets in generation, transmission, distribution; who and how does that get paid for with less and less subscriber hours? As these questions demonstrate, the discussion on crafting policy to deal with the financial and operational impacts of these changes is not resolved and is frequently a market share discussion rather than more collaborative “how do we advance multiple goals” approach. This brings us back to the bill; there is much to like and perhaps a few issues. First, the policy architecture is to remove an arbitrary barrier to a technology innovation (good) by removing the net metering cap on DG projects. A second major policy thrust is to extract more value out of the AMI infrastructure and provide visibility into the energy system through Time of Use pricing as a DEFAULT rate structure. While not without controversy, this is also a net positive as it sends strong energy conservation and efficiency signals and recoups the investment ratepayers in California have made through the major AMI deployments co-funded by Federal ARRA funds. Finally, the bill begins to address the white elephant, which is the fixed cost of the distribution system and more generally the grid by assigning some ranges of value for all customers to “pay in” to the system. This is a critical area and a few more comments here. It seems a strong positive that the solar and incumbent generators both support a bill which deals with fixed costs and make an attempt to assign value for the regulators to deal with in a rate structure. However, there seems to be some trouble with the specific dollar values in the bill. What if the regulator or other stakeholders determine its much higher, or even much lower than the legislatively mandated caps? It seems better to be more flexible and simply state that the fixed cost charge will be applied monthly, etc than to potentially create new regulatory traps. Having come from the renewable energy policy making community and from Telecom before,some of these discussions sound eerily familiar to the innovation driven disruption to the monopoly providers of Telecom many years ago. In some important respects, this analogy can only go so far. Unlike telephone service, electricity can be a fundamental living expense and the power industry is much more fragmented in terms of who “owns” the system. In short, I think California again is leading the policy making community by coming up with a bill that attempts to deal with the very real financial impacts of technology change while preserving their state specific public policy goals for clean energy. This doesn’t solve all the operational, regulatory, and financial issues of integrating utility or distributed scale renewables in the system. What it does do is create clearer path, at least in California, to pricing energy and enabling the regulator to deal with the equity and business model issues presented by these positive technology changes.